Walking Sticks, Sword Canes and Zatoichi Swords for sale in a variety of styles and sizes. 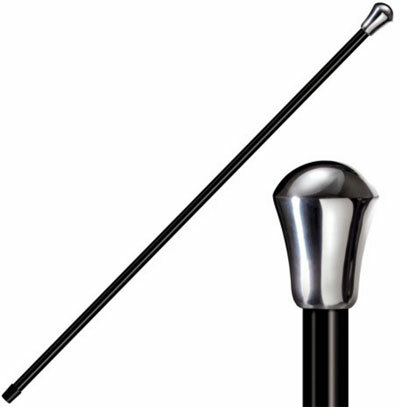 We carry decorative cane swords to functional self defense items. Walking sticks are available in polypropylene construction and all steel versions. 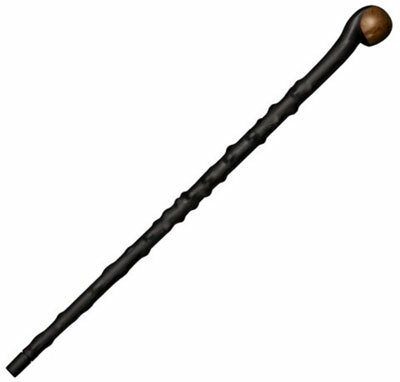 African Walking Stick for sale is made of solid black polypropylene. This polypropylene construction makes the stick nearly indestructible and able to withstand the elements through time. These walking sticks measure 37 inches in all. They feature a 2 3/4th inch head, a 1 3/4th inch neck and a 1 1/4th inch base. They weigh 25.3 ounces. These popular walking sticks are modeled after the design of traditional Zulu Kerries. They feature an undulating shaft and the geodesic ball style grip. Buy the African Walking Stick for $39.99. Irish Blackthorn Walking Stick for sale is made of solid polypropylene. This material renders the stick nearly indestructible while being able to withstand the elements through time. These walking sticks measure 37 inches in all. They feature a 2 3/4th inch head, a 1 3/8th inch neck and a 1 inch base. They weigh 28.2 ounces. These walking sticks are modeled after the design of a real Irish Blackthorn stick. Buy the Irish Blackthorn Walking Stick for $59.99. City Walking Stick for sale is 37 5/8th inches in all. 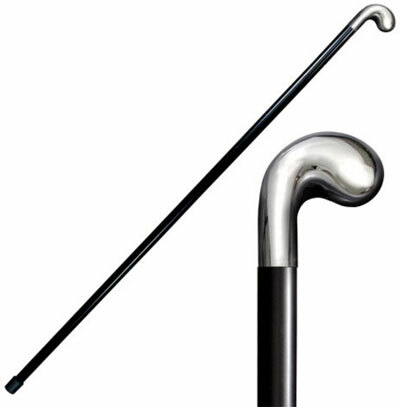 These popular walking sticks feature a nearly indestructible glossy black shaft that is crafted from eleven layers of fiberglass. These walking sticks weigh 13.6 ounces and have a 3/4th inch thick shaft. The top of the stick features a mirror polished 6160 aluminum head. This lightweight head is removable so it can be customized or engraved. The bottom of the stick features a functional thick rubber ferrule. Buy the popular Cold Steel City Walking Sticks for only $79.99. Handle Grip Walking Sticks for sale measure 37 5/8th inches in all. They have a nearly indestructible glossy black shaft that is made of eleven layers of fiberglass. These walking sticks weigh 17.2 ounces and have a 3/4th inch shaft. The top of the stick features a mirror polished 6160 aluminum head that is fashioned with a comfortable handle-style grip. Buy the popular Cold Steel Handle Grip Walking Sticks for only $89.99.